If you are looking for a night out but want something more intimate than a bar or club, check out a NV lounge. Enjoy your night out but still feel relaxed and comfortable. We provide you with an in-depth guide to the best Nevada lounges to spend an evening at. A great complement to the visitors in NV! It is a great alternative for visitors to the pulsating vibe of a vibrant night club. 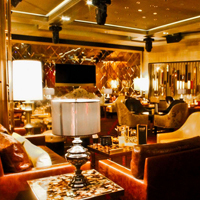 Gold Boutique Nightclub & Lounge in Nevada is well furnished with 3,756 square feet of ultra-lounge design. It attracts the visitor’s mind for its modern decor featuring a striking black and gold color palette that exudes sophistication and a sense of refinement. Visitors feel comfortable in its ultra-lounge located at the top of the escalator on the second floor promenade level of ARIA Resort & Casino. Gold Boutique Nightclub & Lounge offers a full bottle service menu Monday through Saturday with the highest level of service in the nightlife industry. Looking for a good place to hang out together with your friends? Visit The Beatles Revolution Lounge and have a great time! Spend your Saturday night in a cool ambiance of a lounge here in The Beatles Revolution Lounge, one of the best places to have fun with your friends here in Nevada area. They have fantastic DJs who will play remixes from Beatles music and beats from 70s, 80s and 90s. They can also set up a private event for you. Contact them through phone. For table reservations in The Beatles Revolution Lounge, send an email. Enjoy great entertainment and have fun with your friends here at Fireside Lounge in Peppermill Las Vegas! 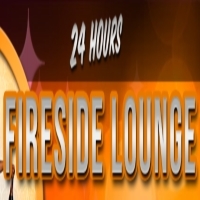 Fireside Lounge has been one of the best places to see here in the city of Las Vegas, Nevada. Peppermill has a restaurant and a lounge where you get to enjoy delicious food and refreshing drinks. Enjoy your specialty cocktail drink here in Fireside Lounge with great music. This lounge has been featured on TV in shows like CSI Las Vegas and Elimidate. With great ambiance and great drinks, you will enjoy your Saturday night life. Book your reservations now and enjoy your happy hour. Call them through phone for your table reservations. Have fun spending your night life to mingle here in Mix Lounge at Mandalay Bay Resort! 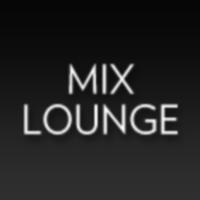 Mix Lounge is known to be the best lounge in a hotel here in Nevada. It is located on the roof of Mandalay Bay Resort which gives guests a fantastic view of Las Vegas at night time. They have different cocktail mixes available, the finest wines, pastry and food bites. You will have a great time spending your night life here together with your friends. They are open seven days a week. You can book your reservations by calling them at their phone number. 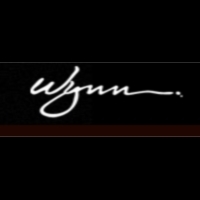 Wynn is one of the most popular places to see in the city of Las Vegas. They have the best entertainment that you get to enjoy whatever time of the day. They have the best bar and lounges that you can visit with an outstanding and relaxing atmosphere. This place has the best interior design and it feels like home. Parasol Up Lounge offers different specialty cocktail drinks, wines, beers, spirits and cocktail meals. They are open seven days a week but you can also book your reservation by calling them on their phone number. 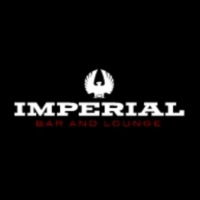 Visit Imperial Bar and Lounge, enjoy a great meal from the menu with refreshing specialty cocktails, wines, beers and spirits. 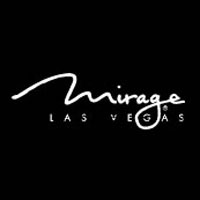 This place has become one of the most popular lounges in the city of Las Vegas because of its unique interior design, with stylish modern amenities with comfort and their satisfying customer service. Hang out here with your friends to have a great time. Imperial Bar and Lounge is open seven days a week starting from 11 in the morning. Book your table reservations now and call them on their phone. Looking for a unique place to hang out after work? Visit Chocolate Bar Lounge! If you want to hang out somewhere entertaining after your work, why not try going somewhere unique? Here at Chocolate Bar Lounge, the place is huge and it has a great service. 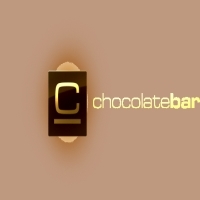 Chocolate Bar serves different kinds of cocktails you will surely love, you can order meals from their menu cooked by renowned chefs in Nevada and you will enjoy their lovely desserts which all have one common ingredient – chocolate. This is a great place especially for the chocolate lovers who love to spend time outside. Call them now for your table reservations! 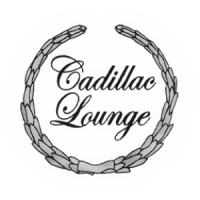 Celebrate any kind of event or entertainment with Cadillac Lounge here in Reno! Cadillac Lounge had been known for the best dinner meals and drinks they offer. They have different kinds of events or live entertainment like pool competition every Tuesdays and their guest bartender in their lounge. They sometimes have contests, raffle promo for their guests with prizes that they will surely enjoy. This lounge is huge if compares to other lounges in the city. They have quality specialty cocktails in their bar area which you can enjoy together with your friends. Book you table reservations now by calling them in their phone number. Enjoy a relaxing time with your buddies in your own cave here at Man Cave Cigar Lounge! Man Cave Cigar Lounge is especially designed to men for spending their time in their private room and have a chat or wants a good entertainment. The place has a TV station in every room with a relaxing atmosphere and ambiance. 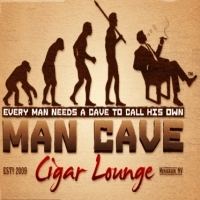 They have a great service on their customers especially to the cave members here in Man Cave Cigar Lounge. The lounge is open from Mondays to Fridays from noon to nine in the evening and every Saturday from noon to six in the evening. You may call their phone number for your reservations, the lounge has first come first serve basis so it is better to have your reservations first. Looking for a place where you can hang out comfortably with your family or friends? Visit Rae’s Restaurant-Lounge now! 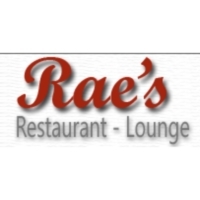 Spending time with your family and friends here at Rae’s Restaurant-Lounge has always been better! With their delicious meals and different drinks on their menu, you will surely love the variety of food that they have. Their refreshing drinks will satisfy your quenching thirst. Rae’s Restaurant-Lounge is a great place for celebrating special events as well. This place offers catering service for any occasion as well as bartending services. Book your table reservations now and have a great time with your family and friends here at Rae’s Restaurant-Lounge! Hang out with your closest friends in a fine dining restaurant in Adele’s Restaurant and Lounge! 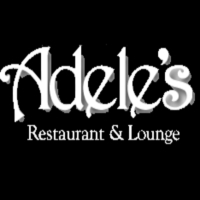 Adele’s Restaurant and Lounge is the best place for you if you want to experience a fine dining experience. It is featured in a magazine for their award winning wine list. The restaurant has the variety of meals in the menu, they serve breakfast from 8:00-11:30, lunch at 11:30-2:30, pizza and salads at 2:30-5:00 and dinner at 5:00-9:00 from Mondays to Saturdays, and 5:00-8:00 on Sundays. Their lounge is open until 10:00 in the evening for pizza, salad and variety of drinks. They recommend for you to have table reservation and call them through phone.